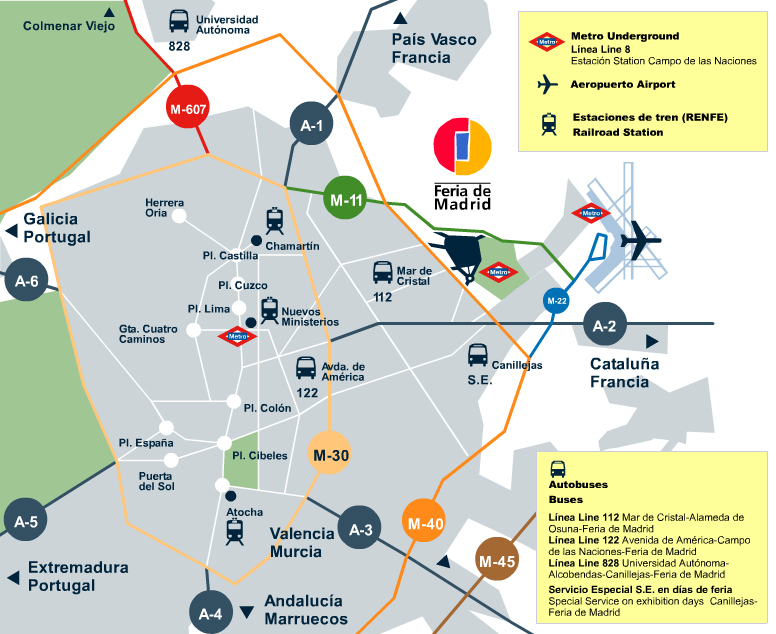 By car: Feria de Madrid is linked by road to Madrid’s major access routes and ring roads: the M-11 (Exit 5) and the M-40 (Exits 5 and 6). By Metro: Feria de Madrid station (Line 8). Line 8 also connects the exhibition complexes with the different terminals of Barajas International Airport. By plane: Adolfo Suárez Madrid-Barajas airport is located only 10 minutes from the exhibition complex, and just 15 kilometers from the city centre.